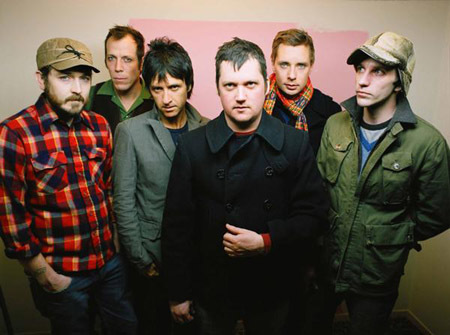 Isaac Brock says he isn’t surprised that Modest Mouse hit the mainstream a few years ago. Maybe that’s because he doesn’t really think about it. When it came time to work on the follow-up, “We Were Dead Before the Ship Even Sank,” Brock didn’t worry about what anyone would expect: longtime fans, Top 40 scenesters or record executives at Sony. His lack of concern paid off. Even with two new faces in the band — former Smiths guitarist Johnny Marr and prodigal founding drummer Jeremiah Green (who quit in 2003) — the record has been a success. “For me … it’s counterproductive to think about that stuff,” Brock said. “Somehow we are able to leave all of that at the studio door and start from scratch. Still, Marr’s contributions influence more than the songs he worked on in the studio. Brock said Marr’s impact on the older material is noticeable. While Marr’s arrival to the Mouse has generated most of the publicity, Brock also welcomed founding drummer Green back after a one-album absence. Brock said he was surprised at the synergy Green has with Modest Mouse’s second drummer, newcomer Joe Plummer. Making music that is interesting is the only gauge Brock has for his artistic process.